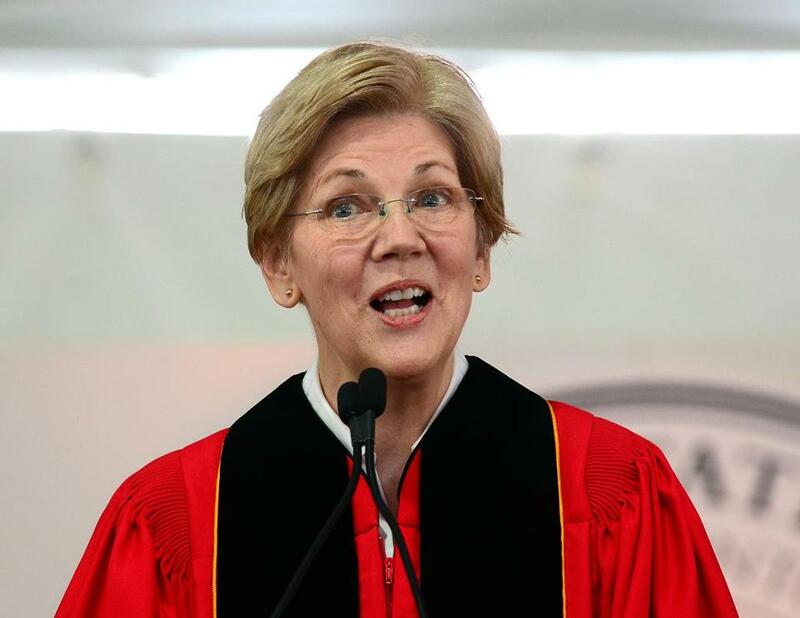 Senator Elizabeth Warren delivered the commencement address for Bridgewater State University in May. 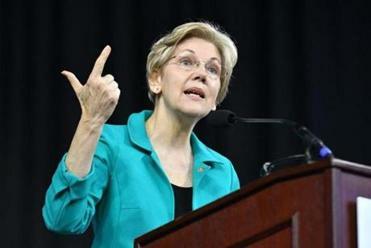 Warren addressed the American Constitution Society’s national convention in Washington. She relentlessly attacked Trump, especially for his recent description of a federal judge as biased against him because the US District Court Judge Gonzalo Curiel is of Mexican heritage. Trump and Warren have waged a verbal battle, often on Twitter, during recent months. Trump has sarcastically called Warren “Pocahontas’’ because she has made unsubstantiated claims of Native American ancestry. In a speech on the floor of the Senate Wednesday, the Massachusetts Democrat attacked Trump and Republican leaders of Congress, Senator Majority Leader Mitch McConnell and House Speaker Paul Ryan. Warren said McConnell and Ryan are trying to create a judiciary that represents the interests of billionaires, not the majority of Americans. According to two advisers close to the Massachusetts senator, it’s in the works. Both McConnell and Ryan have faulted Trump for his comments about the judge, but Warren contends they still support Trump and his political agenda. McConnell has refused to allow the Senate to consider President Obama’s Supreme Court nominee, Appeals Court Judge Merrick Garland, until the next president is in office. Warren said the Republican-led Senate has failed to vote on a total of 15 judicial nominees.